This year’s Birmingham Improv Festival will welcome over a hundred performers to the Blue Orange Theatre and Birmingham Repertory Theatre, between Friday 26th October and Saturday 3rd November. We caught up with festival director Jon Trevor at the Birmingham REP, where he gave us an insight into the planned performances and what to expect. Over the last year I’ve been all around looking at improv shows around the country, so I can find the cream of the best work there is, and brought them together for one week, October 26th to November 3rd. Over nine days, twenty two shows, and two different venues at The Blue Orange and Birmingham REP; with no script for any of them. Improvisation is making it up as you go along, but each show is completely different. So one company is making up stuff in the style of Shakespeare, we have someone doing a Harry Potter show, we’ve got someone doing a Star Wars themed show, we’ve got all sorts of different styles; got someone doing a show in style of Studio Ghibli (Japanese animation). Each company is unique in the way they work but each company works without a script. They use audience suggestions, audience titles. You wouldn’t believe it is improvised but it really, really is! As soon as you hear of improv, most people think of Whose Line Is It Anyway? Is that also incorporated into this Improv Festival? 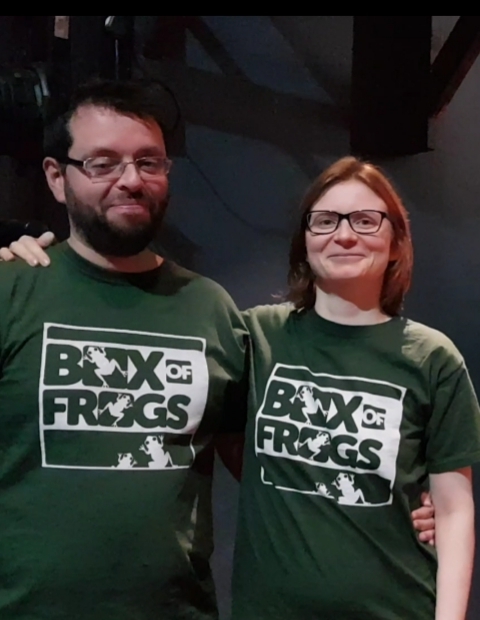 Absolutely, a company I’m involved in, Box of Frogs, does very much that style of work. We call that short-form, very much games and silly songs and stuff like that. Other companies do very different things. On Halloween, for example, we’ve got a company called The Society of Strange and they do stuff in the style of HP Lovecraft (horror fiction). It’s going to be quite dark and won’t necessarily be silly or funny. Most companies tend towards the humorous. We’ve got a company called Bumper Blyton, they do adult stories in the style of Enid Blyton. Of course, they are very silly and very funny. At the Birmingham REP, we have Show Stopper, an Olivia-award winning musical company, who do a full length West End Musical with the songs, characters and the story lines all made up as they go along. There is a special kids show November 3rd, where only kids are allowed to make suggestions. How many years has Birmingham Improv Festival been going? This is the third year of Improv Festival. [It’s] funded by the Arts Council. We’ve got Birmingham REP on board, because there were a couple of companies I could not fit into The Blue Orange. We’ve got Ostentatious, who are amazing, they do shows in the style of Jane Austen – sadly, already sold out! All of them! I’ve spent a year finding good shows, so there isn’t a bad one in there. Depends what you’re interested in. On October 28th, there is gala charity show with 15 improvisers, all competing to be voted best in show with all proceeds going to Birmingham Children’s Hospital. Is this the biggest Improv show in the Midlands? It’s the only Improv Festival in the Midlands. What are your plans for the years ahead? 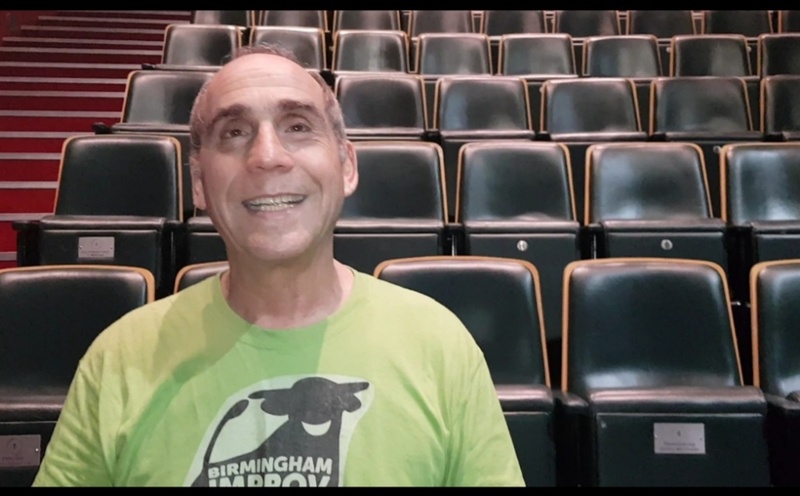 My secret plan is to make the Birmingham Improv Festival the ‘Edinburgh Festival of Improv’, so that people would flock from all around the world for a week and go, “This is the place to come if you want to see brilliant Improv”, maybe have a main festival and a fringe festival. I would like Birmingham to become an international focus for improv. Birmingham Improv Festival 2018 opens on Friday October 26 and runs until Saturday November 3, 2018. Tickets start from just £5. Full details and tickets at: www.birminghamimprovfestival.com.